Karen holds an Honorary Senior Research Fellow position at the Royal Brisbane & Women’s Hospital and the School of Nursing, Midwifery and Social Work at the University of Queensland, Brisbane Australia. Karen’s research focus is maternal and neonatal outcomes including preconception and early pregnancy care. Karen has a keen interest in improving maternal and neonatal outcomes in low resource countries, in particularly those in our pacific region. 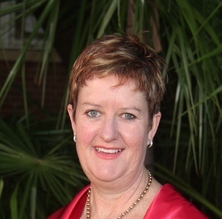 Karen is a consultant, undertaking systematic, literature and critical reviews for the University of Southern Queensland and the University of the Sunshine Coast; sessional teaching and marking at a number of Universities. Karen is currently advising 4 PhD students (3 national and 1 International) and 1 international MPhil student. Preconception health and preconception care are preventive health strategies aimed to educate and promote the benefits of leading a healthy lifestyle to women and men in their reproductive years in the lead up to conception. Optimising health prior to pregnancy can reduce the risks of adverse birth outcomes such as neural tube defects (NTDs), premature birth, congenital anomalies and infant mortality. However preconception health is underutilised by the general population of women and men of reproductive age. Preconception health education and services at individual and population levels are required for the future generations of Australians. Currently, healthy pregnancies are promoted in antenatal care, but this is too late for identifying risks and exposures that may impact fetal development. Emerging evidence links poor maternal/paternal health (lifestyle, diet) to fetal programming that predisposes the individual to chronic illness such as diabetes and cardiovascular disease in adulthood. Implementing a preconception health may impact the growing issue of non-communicable diseases. Supporting healthy weight gain and management in pregnancy: does a mandatory training education session improve knowledge and confidence of midwives? Challenges of neonatal hypothermia – can clinical practice audits improve practice? A mobile application to raise awareness and engage women in preconception health – a pilot randomised control trial. Actioning the every newborn action plan: helping babies breathe training in Papua New Guinea. Does early transfer from isolette to open cot decrease length of stay for premature neonates? From Incubator to Open Cot: An investigation of optimal transition for preterm infants. Transfer of preterm infants from incubator to open cot: a review of contemporary practice, a randomised controlled trial and systematic review. Note for students: Dr Karen New is not currently available to take on new students.